The body produces a hormone called ‘androgen’. This stimulates sebaceous glands to produce an oily substance called ‘sebum’. 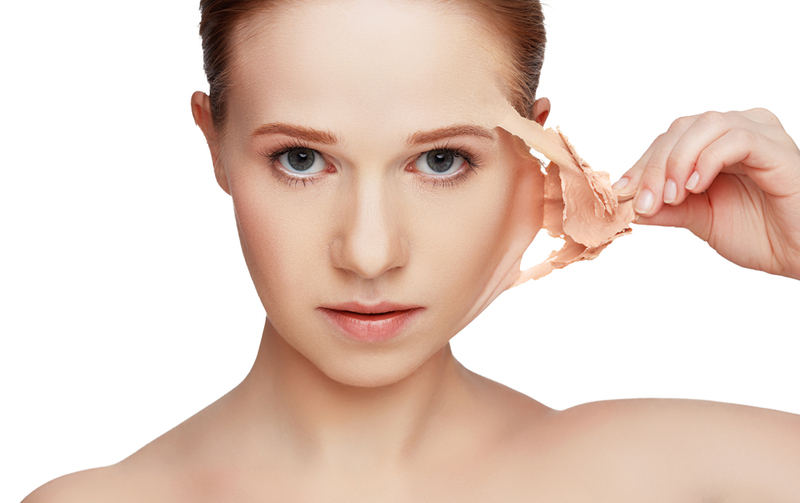 Over production of sebum can cause pores to block, resulting in breakouts from oil being trapped. Inflammation can be caused as a result due to the bacteria being trapped with the mixture of hair and sebum in the skin. 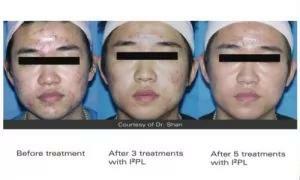 Ellipse Laser successfully treats Acne by reducing the blood supply to the sebaceous gland, which slows down the production of sebum. 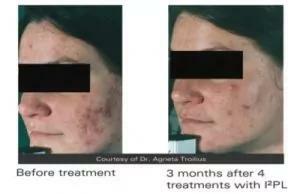 This happens by short, safe busts of intense pulsed light being directed at the skin. The wavelengths used are absorbed by the haemoglobin in the fine blood vessels that supply the sebaceous gland. ClearSkin by Harmony XL lasers is for the treatment of active acne; the laser tip operates with integrated suction and contact cooling. The wavelength of the laser achieves deep penetration and the selective targeting of water-containing tissue to induce a rise in dermal temperature. 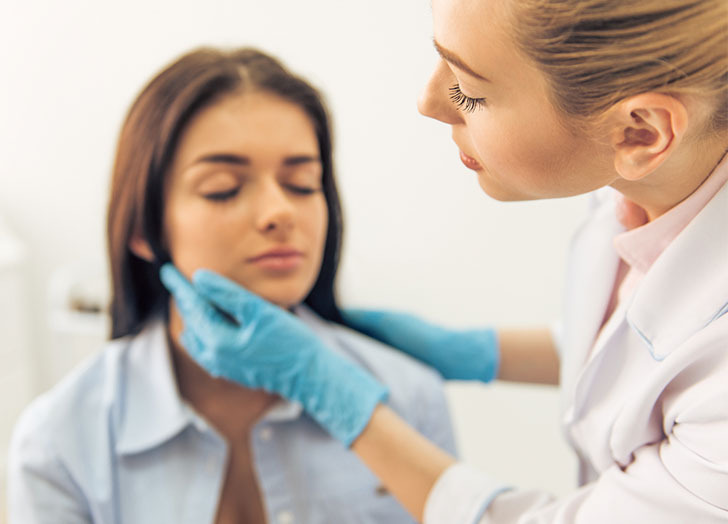 In acne treatment, the dermal heating achieved disrupts the sebaceous glands while involution of the glands induces a long-term remission of the acne. Obagi Clenziderm is a prescription strength homecare system consisting of 3 products to be used morning and night. 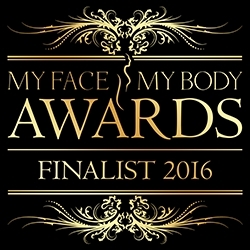 Results can be seen just after 1 week. Obagi Radiance Skin Peel is very good for controlling sebum and excess oil. Reduces pore size. 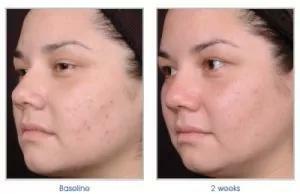 Helps to fill out acne pits caused from scarring. 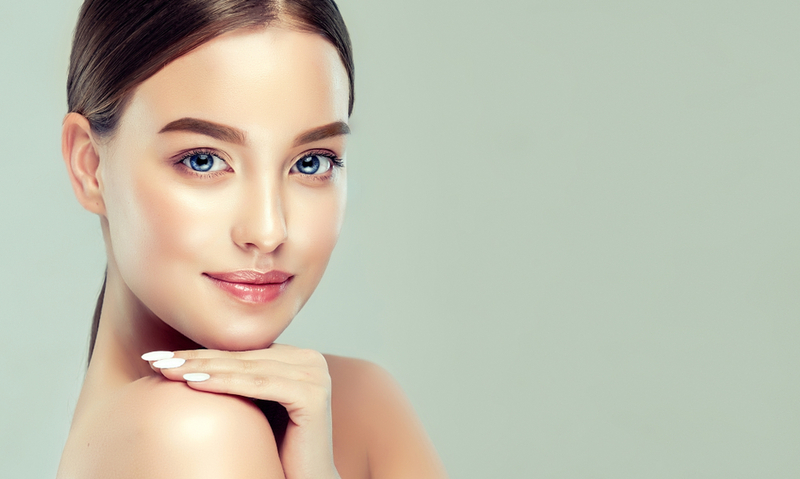 The wavelength of the laser achieves deep penetration and the selective targeting of water-containing tissue to induce a rise in dermal temperature. In acne treatment, the dermal heating achieved disrupts the sebaceous glands while involution of the glands induces a long-term remission of the acne.